Organic Korean skincare product seems to be pretty rare on market but if you search hard enough you can find some Holy Grails. I had an opportunity to work with Bloomskincare and test Manyo Factory products. Today I want to share with you detailed review of 3 products: Manyo Factory Deep Pore Cleansing Soda Foam, Manyo Factory Galactomy Clearskin Toner and Manyo Factory Galactomyces Niacin Special Treatment Essence. The history of Manyo Factory has started in 2012 as a brand aimed at Korean marketplace. The brand is all about nature, it has many important certificates such as Eco-Cert and USDA. You won't see here artificial colourants, fragrances or harsh chemicals. Instead, every product contains a big amount of natural antioxidants. I was a bit surprised at how popular this brand is in Russia, even when I open their website automatically I see Russian language version instead of English one (at least I can train my language skills. How I've tested all the products? Let's make it clear - I did not try all the product at once! If you ever plan to test any product - give yourself at least 2 weeks break before adding a new product to your routine and test the product for 28-30 days, skin cycle takes about 28 days and after a month the results should be visible. We can't deny the ingredients are pretty nice. The scent of the product and texture set the high bar for this cleanser. Let's look at what's inside first. Camellia Sinensis Leaf Water is a base for this product, it's an antioxidant with antibacterial properties, ideal for oily skin. But it's not the only leaf water in the product, there's also Aloe Barbadensis Leaf Water - ideal for sensitive skin. You might be surprised with Potassium Hydroxide, it's an ingredient which is used in organic cosmetics as pH adjuster but in limited concentrations. Another interesting ingredient - Diatomaceous Earth, it might tell you nothing but it's a mineral scrub. If you've got an acne-prone skin with pigmentation problem then you'll know Glycyrrhiza Glabra (Licorice) Root Extract very well. 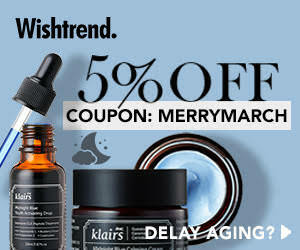 I'm not a fan of Licorice but it's different with skincare. It's an antioxidant with anti-inflammatory and anti-bacterial properties. It boosts the healing process and helps a lot with acne redness (inflammation and pigmentation left by acne). Overall, the product looks amazing and first couple days I felt like it's an ideal product for me, it worked for me similar to COSRX cleanser because both of them had a natural scent and both left my skin squeaky clean. But after couple days I had a problem with acne near chin area and I had 3 different ideas - wrong pH, fungal acne or stress. In this case, I believe it was a mix of 2 problems - the pH of the product is about 7 which is slightly not good for my skin, I prefer my cleanser to be near pH near 5,5. But on the other hand, this product contains Myristic Acid, Stearic Acid and Lauric Acid which can be comedogenic. Overall, I've got a mixed opinion about this cleanser, I know that it's a popular cleanser and many people are using only it but for me, it didn't work and that's normal - every person will react to the product differently. Another product I've added to my skincare completely changed my routine, I gave up stronger acids to use a product that can be a good substitute for famous COSRX AHA/BHA Clarifying Treatment Toner. I'll think about making a review in which I'm going to compare both but that's for you to decide. Even if both contain 2 acids - AHA & BHA, still Manyo Factory has one secret and wanted ingredient - Galactomyces Ferment Filtrate. Why are ferments so positive to our skin? It's all because fermentation is nothing else than a process which breaks down all the molecules to make ingredients smaller and easier to absorb by the skin. Fermented products without fragrance ingredients usually have very specific scent which you might not feel at all or they might be a bit stinky to you but it's not a scent that it's hard to survive, usually the scent disappears after couple minutes and that's how this toner (as well as Galactomyces Niacin Essence) works too. We could talk more about the positive influence of fermentation process in skincare but look more carefully at rest of the ingredients. Oryza Sativa (Rice) Bran Extract is a nourishing but also brightening ingredient. 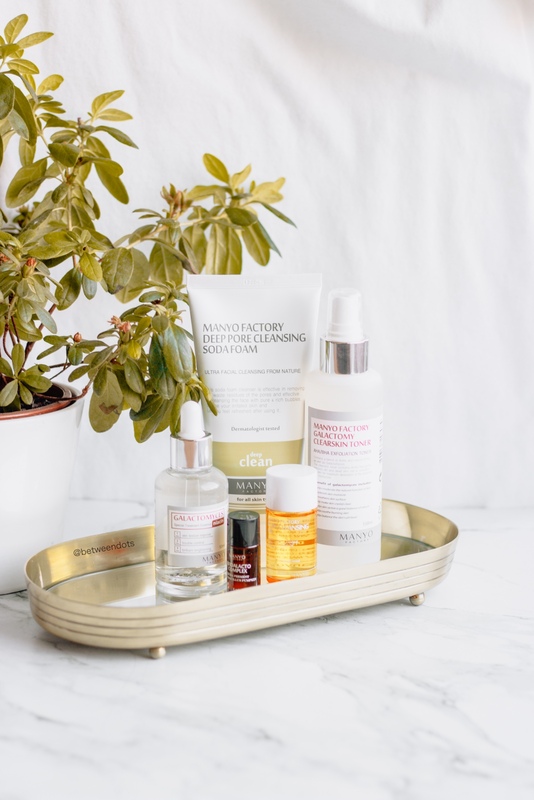 Centella Asiatica Extract is one of my favourite ingredients and I like to see it here, it's an ingredient that can be good for every skin type. It's an antioxidant with antibacterial and antifungal properties. Salix Alba (Willow) Bark Extract is another ingredient which I can't forget - it's an ingredient used to cure acne because it contains salicylates. Hamamelis Virginiana (Witch Hazel) Extract and Camellia Sinensis Leaf Extract are another ingredients which I don't have to mention but let's focus on acids. This product contains Lactic Acid and Malic Acid, the concentration of the ingredients are safe especially for people who use acids in their skincare for the first time and if you plan to use this toner couple times in a day. I use it in the morning and evening, the atomizer is the best thing that you can find in a toner. After couple days I started to see the difference and you know what? After a month I can see the difference on my chin - below it is the place that I usually forgot to spray and I can see that there are more blackheads than on the rest of my face. The pores are clearer, I've got less acne and it's easier to remove blackheads. The last but not least is Manyo Factory Galactomyces Niacin Special Treatment Essence, I've tried to use it in two ways - alone and with Manyo Factory Bifida Ferment Complex and I've got two different results but let's start with the ingredients. This Essence was on my wishlist for a long time because of the ingredients. There are only 7 ingredients in this product but it doesn't mean that this product is not powerful, in fact, a product with fewer ingredients is better. The base of this product is Galactomyces Ferment Filtrate - just like the toner above and Niacinamide - also known as Vitamin B3, an antioxidant and humectant used in skincare because of it's anti-ageing properties and how it can boost collagen production or even make your lipid barrier stronger by boosting ceramides production. But it has also a positive effect on acne-prone skin since and I believe that since my skin is different when I use niacinamide. It is also told that niacinamide can brighten the skin and in my case it is visible. Hamamelis Virginiana (Witch Hazel) Extract is another antioxidant with antiseptic and antibacterial properties, it is mostly used for acne-prone skin. Hyaluronic Acid is the last ingredient here. It's a humectant that can brighten your skin a little bit. When I used this product alone I was okay with it but the real effects I saw when adding Manyo Factory Bifida Ferment Complex which contains Peptide, I feel like if I add ferments and peptides then my skin gets softer, brighter and the texture is pure without many bumps. I wouldn't test this product if it wasn't Bloom skincare, it's an online shop based in the UK, all the product on the website are from Korea but you can find here products from brands which I barely ever see online in Europe like Manyo Factory, La'dor, Lindsay, Nature Planet, etc. Bloom skincare focus on natural and cruelty-free products, it's worth the mention that all the boxes and cards send by this shop are recyclable. Bloomskincare ships to the UK, European countries and US. Overall I feel very positive about Manyo Factory and for sure I'll pick some products from this brand in future especially that some products are already on my wish list. Which of the products is the most interesting to you? Which one would you like to try?